Located In: St. Paul, Ramsey County. 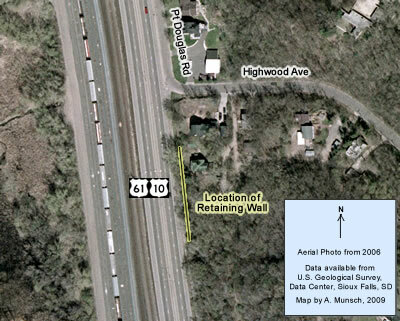 The Point Douglas Road Retaining Wall is located just south of Highwood Avenue on the east side of modern U.S. 61/ U.S. 10. The limestone brick wall is about 235 feet long. 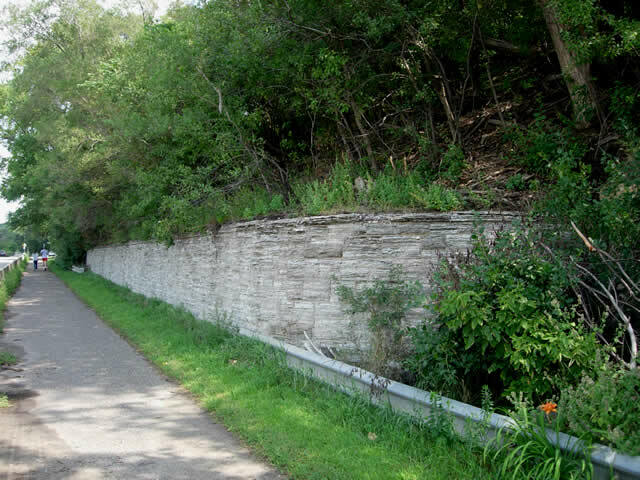 The wall was constructed in about 1936 as part of a major reconstruction of Point Douglas Road, probably by the WPA. 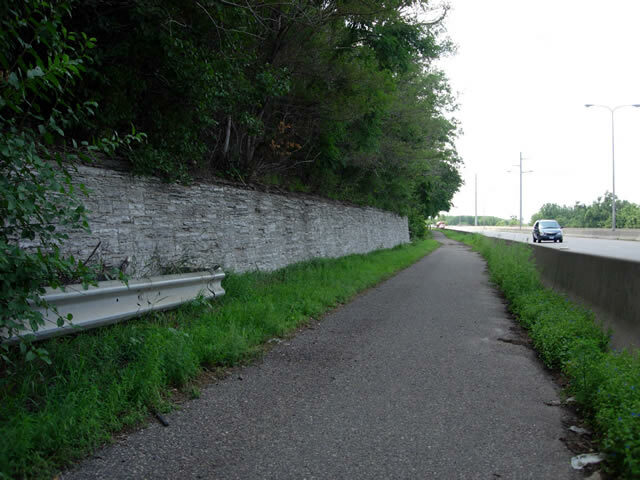 Today the wall is easily accessible via an asphalt recreation trail that runs south along U.S. 61/U.S. 10 from Highwood Avenue. Photos - Taken in August, 2009. 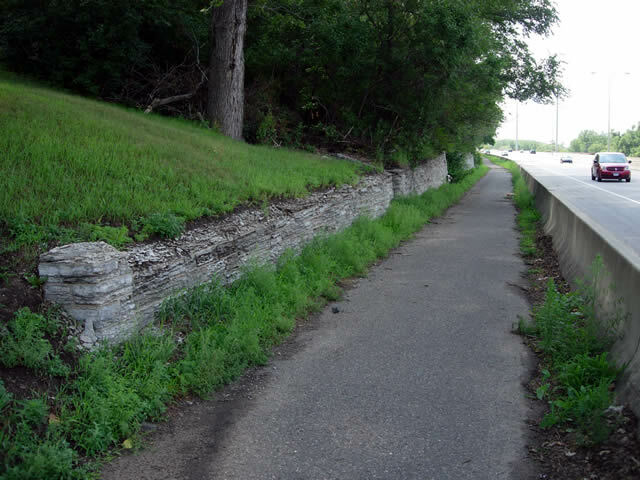 The north end of the retaining wall, looking south. Note the indentation made by a set of concrete stairs ahead. A bit further down the wall, looking south. Looking back to the north at the south end of the wall. Note the curved end and the modern metal traffic barriers bolted to the wall.